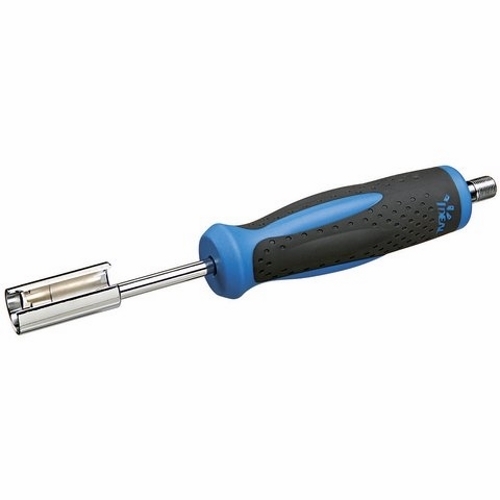 The F/BNC insertion/removal tool is used to aid in accessing, torqueing, loosening, and reaching all types of standard F and BNC connectors. With a patented design that is only available from IDEAL, this is the only tool in the industry that works on both F and BNC connectors with the same tool end. No adjustments to the tool are required to move from BNC to F connector applications.